YAMASA, run by Michio Hamaguchi, the 12th generation of the founder’s family as President, is the second largest soy sauce manufacturer in Japan, producing 100,000KL of soy sauce annually. Soy sauce is the seasoning supporting Japanese food culture. 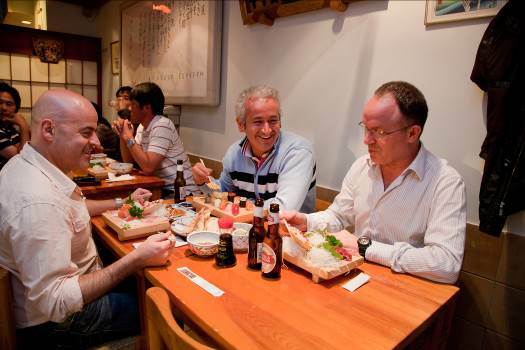 Japanese food is becoming very popular globally as Japanese food is low in fat and good for health, and now some 80,000 Japanese restaurants can be found in the world. YAMASA hopes to provide YAMASA soy sauce all over the world, taking the same track as this trend and, therefore, holds factories in the US(in Oregon and in Virginia), and marketing and sales companies in Thailand and in the Netherlands. Soy sauce is a traditional Japanese seasoning but instead now attracts attention as a new seasoning throughout the world. YAMASA soy sauce is born from the fermentation of the same culture of YAMASA koji yeast that the company has protected ever since its founding. Soy sauce fermentation is based on the action of microorganisms, but in the 1950s, using the technologies developed in research on these microorganisms, YAMASA succeeded in the world's first industrial production of inosinic acid, the umami flavor component of dried bonito flakes, and guanylic acid, the umami flavor component of shiitake mushrooms, by using enzymes produced by microorganisms to decompose ribonucleic acid. The commercialization of inosinic acid and guanylic acid as umami seasonings was an important contributor to the development of new processed foods in Japan and abroad. With its soy sauce and umami seasonings, as well as food preparation technologies developed over many years, YAMASA has developed many kinds of sauces and condiments. 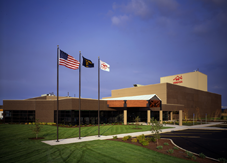 Meanwhile, YAMASA currently produces more than 200 nucleic acid related compounds in its nucleic acid business, which began with the production of umami seasonings; and the company has ventured onto the forefront of biotechnology, from pharmaceutical products, research reagents, and in-vitro diagnostic agents to immunological research. According to oral tradition, YAMASA was founded in 1645. However, no historical documentation has survived that can prove the date. The oldest record is found in a land ledger from 1703 (appended), so it is certain that YAMASA was already well established in business by that time. In addition, the earliest record in a 1709 financial ledger of the Hamaguchi household refers to for credit sales in 1700, indicating that the business had already been established no later than 1700. Starting in the latter half of the seventeenth century, Gihei Hamaguchi began producing authentic soy sauce of the best quality in Choshi, Chiba Prefecture, an ocean voyage of more than 800 kilometers from his hometown in Hiro-mura. Choshi is on a promontory that juts out into the Pacific Ocean, and the collision of cold and warm currents in the ocean around it creates a warm, humid environment that is ideal for brewing soy sauce all year round. This made it possible for YAMASA to produce highly fragrant, brightly colored, good quality soy sauce. In addition, Choshi is located at the mouth of the Tone River, which has the largest watershed in Japan. This made it the perfect location for using canals to procure raw materials and transport products to Edo, which was developing into one of the world's greatest cities. By about the year 1700, Gihei Hamaguchi, the founder and first generation leader, had grown the business to the point where authentic YAMASA soy sauce was becoming widely available in Edo. Around the same time, the city of Edo was creating new recipes using soy sauce that are now considered typical Japanese foods, including sushi, tempura, and grilled seafood glazed with kabayaki sauce. 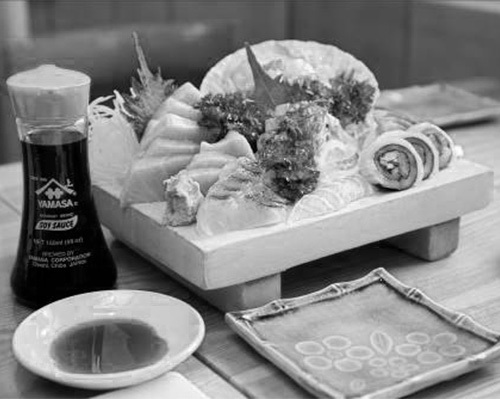 YAMASA soy sauce was supporting the development of Japanese culinary culture. Gihei Ⅰwas engaged in producing soy sauce and miso (soy bean paste for traditional soup) and selling tobacco and sundries. Gihei succeeded as the second head of the Hamaguchi family. Gihei Ⅴand Ⅵ built a soy-sauce warehouse in Ogibashi, Edo, where he operated a soy-sauce production and money lending business. A great tsunami caused by the Great Nankai Earthquake attacked Gihei VII (Goryo)’s home village of Hiro-mura (now Hirogawa-cho, Wakayama Prefecture). He predicted that tsunami would followed the earthquake soon but had no time to run down from his residence on the hill to let people in the village evacuate up to the hill. Therefore he set fire to golden stacks of his harvested rice straw on the hilltop expecting the people come up to the hill to put out such fire for Goryo, which resulted in saving many people’s life After that Gihei VII (Goryo) devoted himself to building a breakwater and rebuilding Hiro-mura. He was the material of the short story titled "A Living God," one of the works by international writer Lafcadio Hearn. Gihei VIII began exporting soy-sauce. YAMASA was appointed as the first soy sauce purveyor to the Imperial Household Agency in the Kanto region. 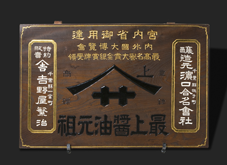 “The purveyor to the Imperial Household Agency” was indicated on the signboard presented to YAMASA’s specially appointed distributors. YAMASA succeeded in the world's first industrial production of inosinic acid and guanylic acid for taste enhancer. 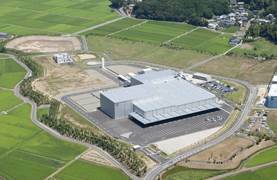 YAMASA began manufacture and sales of nucleic acid related compounds as pharmaceutical ingredients. Michio, 12th head of the family established YAMASA USA CO., LTD. in Salem, Oregon in 1992 and its soy sauce factory was completed in 1994. 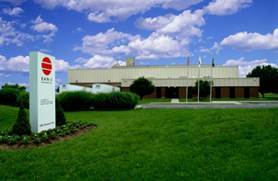 YAMASA purchased US Virginia-based Japanese soy sauce company, San-J International. YAMASA established YAMASA (Thailand) CO., LTD., joint venture with Thai company for marketing and selling YAMASA Soy sauce in Bangkok. 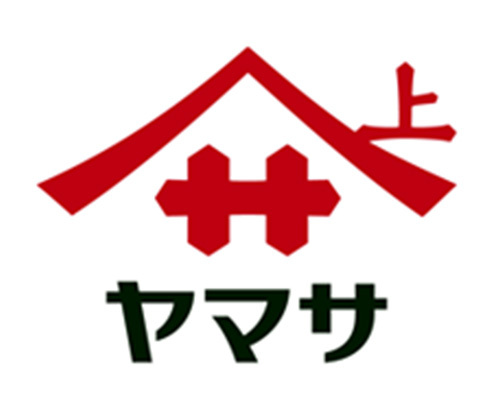 YAMASA NARITA INC., the company’s second factory in Japan was established. YAMASA established Yamasa Europe B.V., soy sauce marketing and sales company in Amsterdam.